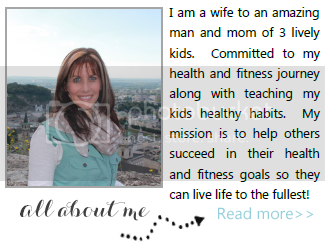 Healthy, Fit, and Focused: Losing the Baby Weight! I was very blessed last year with the birth of our 4th child in July! We couldn't be more in love with our new bundle of joy!! 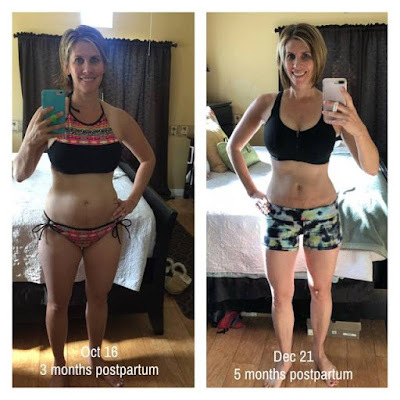 But, at the same time, I knew I needed to get BACK into shape after really taking off so much of my pregnancy from working out! I had done a program called FASTer Way to Fat Loss before I got pregnant and knew I would be doing it again afterwards!! So...3 months postpartum I decided it was time to get serious again! My friend Amanda is the creator of this program and I'm on my 4th round of participating in this! I have had such great success with it and HIGHLY recommend it to anyone looking to lose weight and get in shape! I've been doing this since the end of October and I'm loving the results it's helped me achieve! I've lost over 12 lbs and more than 15 inches since the end of October!! I'm fitting back into my pre-pregnancy jeans again and feeling strong (ready for ski season!!!). If you're interested in checking out this program, I highly recommend it! It's 6 weeks long and Amanda's next session starts on January 15th! The combination of workouts and intermittent fasting is the key to success in this program...it's a lifestyle for sure and definitely one I can stick with... and I've still been able to enjoy myself throughout the holidays! You can check out the info on the program via this link below. I know her space is very limited for this session so get registered soon! Here's the link to get registered! Can't wait for you to enjoy the results too!